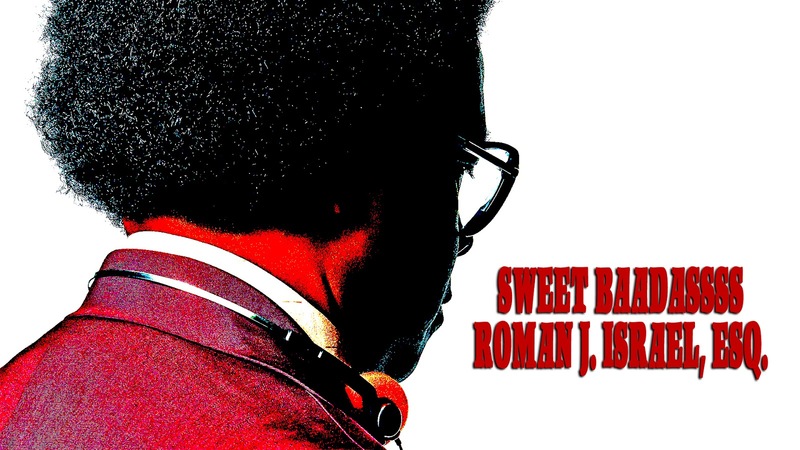 Mashup Trailer: Sweet Baadassss Roman J. Israel, Esq. Last year's Roman J. Israel, Esq., starring legendary screen actor Denzel Washington, was one of 2017's significant cinematic disappointments. Considering director Dan Gilroy's impressive directorial debut Nightcrawler (starring Jake Gyllenhaal and Riz Ahmed), Roman was more than just textbook "sophomore slump" material, it was a perplexing exercise that kept viewers asking themselves, "What am I watching?" and "What were the filmmakers thinking?" Roman told the story (I guess) of an idealistic lawyer (Washington) who gets in over his head once he takes over a hostile criminal case from his late mentor and boss...but already I'm making the film sound much more interesting and exciting than it really is. Colin Farrell co-stars as a hot shot attorney and marginal friend to our protagonist but he's underused in the role. As I reflected on the dud that this movie is, not the mention how it unbelievably scored Washington a Best Actor Oscar nomination, I started to wonder how the film would've looked like as a subgenre motion picture. I then came across the trailer for Melvin Van Peebles' Blaxploitation classic Sweet Sweetback's Baadasssss Song from 1971. Van Peebles' film was a milestone in its genre at the time (with jump-cuts that pulsated to a score by Earth, Wind & Fire) and it became required viewing for the Black Panthers. I thought Gilroy's film could use some of Sweet's energy and tenacity, so I went ahead and created Sweet Baadassss Roman J. Israel, Esq. for your viewing pleasure. Also, because Denzel deserves better. Review: "The Strangers: Prey At Night"
Review: "A Wrinkle in Time"